For Yarn Along this week, I have a newly begun work-in-progress to show you as well as 2 completed projects. We had a bit of a do-nothing weekend for the long Labor Day weekend, and as my knitting-widower husband will attest, I spent the majority of the time knitting. Over the weekend, I started this Seal Island vest for Finn for Christmas. While I really loved the orange as it's pictured in the instructions on Ravelry, I thought a gray-brown (or Squirrel Heather as it's called) color might work better for finding matching shirts to go under the vest. I used Swish Worsted for the washability. 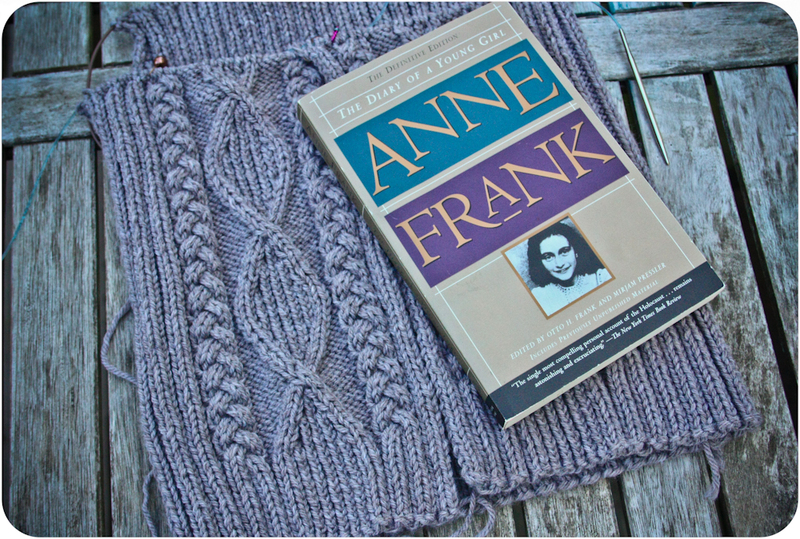 I also recently started reading The Diary of Anne Frank aloud to Elizabeth. She and I are both enjoying it, even if we don't have near as much read aloud time now as we did over the summer. Her class is getting ready to study World War II and the Holocaust, as well as read Night, so Anne Frank seemed like a good thing to read along with that study. I finally finished these socks over the weekend. I'm glad they are finished now, and they can join the stash of other knitted gifts awaiting the holidays. Last, but hardly least, I quickly knitted this Elf Cap for Finn one evening last week. 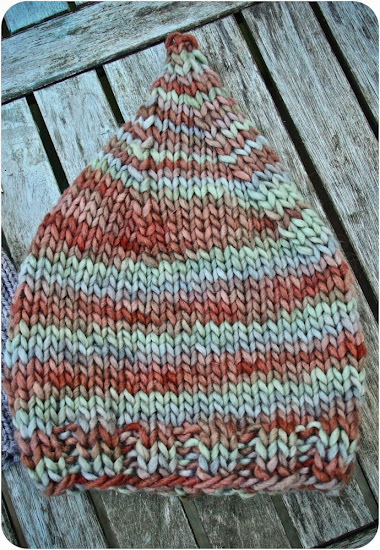 It's such a quick knit, and I had this Araucania Coliumo multi-colored yarn, in an incredibly soft wool and silk blend, that's just been sitting in my stash for years. The earthen tones were a perfect match for the vest he's getting, and he dearly loves his other Elf Caps. Love all your projects. Such a variety of things and wonderful colors. Lots of woolly loveliness here. Sweet hat and gorgeous socks. Those cables on the vest are amazing. Enjoy. Joy, I love the color of the Elf Hat-so subtly gorgeous. 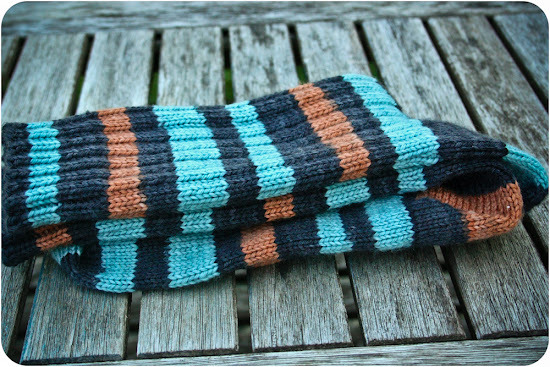 The sock pattern looks as if I might be able to handle it, I'm such a novice knitter; love the colors, once again. Finn's vest really looks like a sweet run too. The cables are stunning with that braid detail on the sides and the decorative centers.